Senderovertræk der kan bruges til de fleste sendere for beskyttelse mod kulde og lettere regn. The cover is reinforced by special, very flexible and nearly unbreakable nylon "wires" and is not pressed in strong winds on your hands. All controls are fully protected and easily visible. 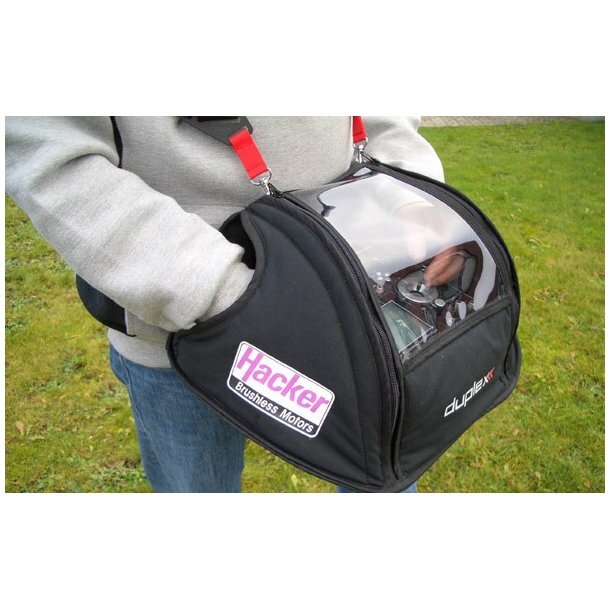 With hook & loop straps and two side zippers for easy exchange and secure fixing of the transmitter with tray, there is no problem in the windshield.